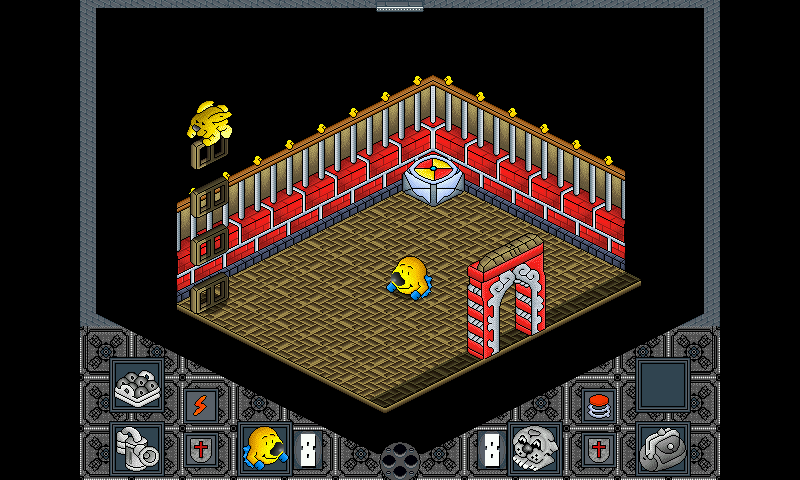 HeadOverHeels It's an allegro based remake of the original Spectrum game, and is programmed by Jorge Rodr�guez Santos. where there are all the game info and also the history of the original programmer (Jon Ritman). The game resolution is 640 x 480 pixels. The isometric engine casts shadows. In the biggest rooms, a camera "follows" the character. The game can be saved when you eat the reincarnation fish. Available in no more (and no less) than twenty languages: Afrikaans, Bable, Basque, Catalan, Croatian, Danish, English, Finnish, French, Galician, German, Hungarian, Italian, Latin (yes, in Latin too), Polish, Portuguese (both Portugal and Brazil), Russian, Serbian, Slovak, Spanish (both Spain and Americas) and Valencian. The keys are configurable on main menu. On my recompilation i have only made the game run in fullscreen on Pandora.